A co-founder of engage:BDR, Inc. Ted serves as Chief Executive Officer overseeing strategic marketing, sales and business development, client relationship management, and content acquisition. From 2003 – 2008, Ted was with MySpace.com developing strategic marketing initiatives. Working very closely with founders Chris DeWolfe and Tom Anderson, Ted was responsible for launching the brand in its infancy through a very specific combination of on- and offline campaigns. Also, Mr. Dhanik innovated business development at LowerMyBills.com in its early stages through acquisition by Experian, and was also an integral part of the early development and launch of the consumer lending program at NexTag Corporation. 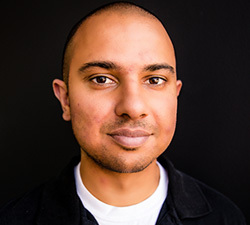 Mr. Dhanik has worked for or been a partner at several other companies in business development, sales, and managerial positions, such as Xoriant Corporation, Atesto Technologies, Inc., Brigade Solutions, Beyond.com/Cybersource Corporation, and Merrill Corporation. 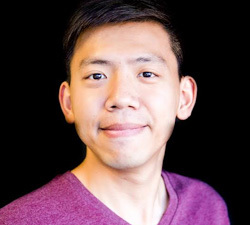 Ted sits on the board or advises other tech startups such as Fighter, LottoGopher and Schizo Pictures, and is an active mentor at Los Angeles-based startup accelerator Start Engine. Ted is passionate about remaining a thought leader in the industry. His writing is regularly published in publications including Ad Age and VentureBeat, and he contributes to industry standards and positive change, sitting on IAB committees including Anti-fraud Workgroup, Anti-malware Workgroup, Traffic of Good Intent Task Force, Programmatic Counsel, Digital Video Committee, Mobile Advertising Committee and Performance Marketing Committee. Kurtis Rintala is the Chief Operating Officer and co-founder of engage:BDR. In his role, Kurtis is responsible for overseeing day to day operations and helping with the strategic direction of the company. Youqi Li is the Chief Technology Officer at engage:BDR. In his role, he leads the engineering team in Research and Development, planning and execution of the product roadmap, and forecasting technical direction of the organization. Youqi has over ten years of experience in software development and six years of experience within the digital advertising industry. He joined engage:BDR in its early stages and helped to build the engineering team from the ground up. Prior to that, he worked in multiple startups and research centers, which helped him develop agile and open-minded technical expertise. 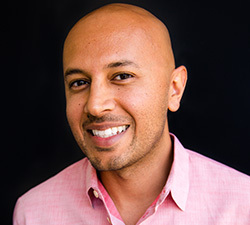 Youqi received his Master’s Degree in Computer Science from the University of Southern California. In his spare time, he enjoys traveling, reading, writing, snowboarding, golfing, diving, and spending time with his daughter. Andy Dhanik is the Vice President, Demand for engage:BDR. In his role, he oversees a team responsible for operational processes including onboarding and management of clients and campaigns, ongoing maintenance of advertising campaigns across all platforms, assisting the campaign management team in optimizations, providing strategic product-specific insight to advertisers, and strategically aligning client needs with internal production teams to innovate and release products that provide value and performance for clients. Andy graduated from California State University, East Bay, where he majored in Business Administration with emphasis on Marketing. 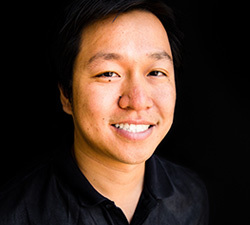 Yan Naing Kyaw serves as Director, Engineering at engage:BDR. In his role, he oversees system architecture as well as product development in the ad serving and programmatic realms. He has been with engage:BDR since the start of his career and grown with the company. Yan Naing graduated from the University of North Alabama with a Bachelor of Computer Science. In his free time, he enjoys playing soccer, badminton, basketball, and table tennis, as well as hiking. 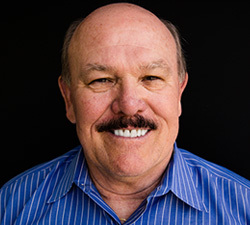 Don is an experienced President/CEO and Chairman in leading organizations and businesses with a reputation for building quality teams that deliver successful results. His accomplishments have transcended both large scale corporate environments as well as early stage businesses with full P&L responsibility for $20 million to over $1 billion. Most recently, Don served as CEO and Chairman of Sekurus Inc. a high tech, international aftermarket automotive manufacturer and Distribution Company focused on the automotive resale market worldwide, with a very advanced high technology patented payment assurance device. Prior, he was Executive Vice President at LowerMybills Experian, leading the growth of the company from $7 million in sales to over $250 million, resulting in the sale of the company after three years to Experian for almost $400 million. The company received the Entrepreneur of the Year in 2005. Other experiences included several CEO and C level assignments at several other companies such as Westec, Xerox Corp, TRW., Orion Equity, and I-Search, where he served as Chief Operating Officer for the provider of enterprise resume processing for large corporations and users. As President of Westec Security, he was responsible for Westec Interactive and Business Security. Westec Interactive was a newly formed business to launch new technology nationwide with two way audio and remote video. The business utilized state of the art security with large-scale convenience stores and fast food chains. He has an Engineering BS degree, MBA, and Ph.D. He resides in Newport Coast, CA with his wife Penny and most notably has traveled extensively to over 60 countries. Jeanne Houweling serves as an Advisor to engage:BDR. 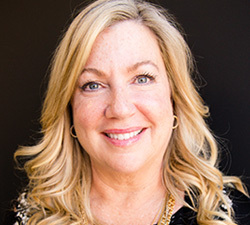 In her role, Jeanne works closely with the leadership team to strengthen and build the organization through her experience in sales, product marketing, and business development. Her key focuses at engage:BDR include expansion of a world-class, global sales organization, development of new brand and agency relationships, and a hands-on role in strategy and product development. Her rich experience in the ad-tech space equips her perfectly for this role. Jeanne brings with her a wealth of knowledge and a strong record of success from over 20 years in the digital media and ad-tech space. Most recently, Jeanne served as co-founder and CEO of AdFin. Before that, she held the role of CRO at PubMatic, where she started as an early leader in 2008. Jeanne helped to grow the business from pre-revenue to being ranked by Deloitte as one of the fastest growing companies in the US Internet sector in 2012. Prior to that, she served as Head of Business Development for Microsoft UK. Jeanne splits her time between the East and West Coasts. She holds a B.A. in Political Science from UCLA. Utilize our proprietary Video and Display units to strategically maximize revenue on your owned media properties. engage:BDR is a digital advertising company built by pioneers. Copyright © Engage:BDR LLC, All rights reserved.